Whilst social media can be an immensely powerful tool for a business, it can also be extremely damaging for when used incorrectly and/or maliciously. If you need more information about the legal issues surrounding social media, our specialist solicitors can help. 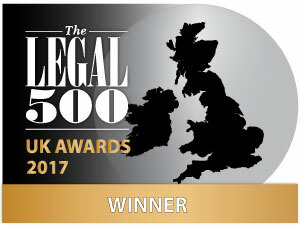 At Lupton Fawcett, we have an in-depth and detailed understanding of the interplay between social media and employment law, and frequently work with businesses to help and assist them in drafting their own workplace social media policies and also dealing with investigations and disciplinary issues concerning the misuse of social media by employees. For tailored advice on social media and social media policies within your business call the expert employment law team at Lupton Fawcett today on 0333 323 5292. Alternatively, complete our enquiry form and we will get back to you as soon as possible. When it comes to social media in the workplace, there are two main risks that you should be aware of:. When something damaging to the business has been published on social media, employers often need to act decisively and quickly in order to minimise the risk of claims or reputational damage. We work closely with clients in these circumstances in order to provide quick, effective and expert legal advice so you can manage the situation effectively. At Lupton Fawcett, we provide expert help, advice and assistance in dealing with the abuse and misuse of social media by staff, both within and outside the workplace. We also regularly provide training into businesses and organisations which deals with the interplay between social media and employment law and examines the key steps that employers need to take in order to ensure that their businesses, and more importantly their employees, stay on the right side of the law. Contact Lupton Fawcett today to find out more about our social media training and policy services. Our team of solicitors provide advice on the misuse of social media to businesses across Yorkshire and the rest of the UK from offices in Leeds, Sheffield and York. To speak to a member of the team, call Lupton Fawcett today on 0333 323 5292 or complete our online contact form below and we will get back to you shortly.